Musical Masterworks will continue its series of chamber music at the First Congregational Church of Old Lyme with concerts on Saturday, March 14, at 3 p.m. and Sunday, March 15, at 5 p.m. Featured performers will include pianist Adam Neiman, violinist Maria Bachmann, and violist Hsin-Yun Huang. Musical Masterworks Artistic Director Edward Arron will perform on cello and serve as the concerts’ host. The program will include works of Schubert, Saint-Saens, Dvorak and others. 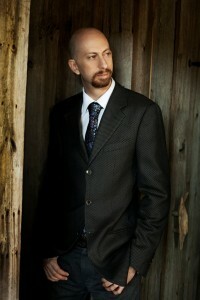 Pianist Adam Neiman has been called one of the premiere pianists of his generation. He has performed as soloist with the symphony orchestras of Chicago, Cincinnati, Dallas, Minnesota, San Francisco, and many others in the US and Europe. Violinist Maria Bachmann won first prize in the Fritz Kreisler Competition in Vienna and recently made an acclaimed debut as soloist with the National Symphony at the Kennedy Center. Violist Hsin-Yun Huang is one of the leading young violists performing today. She has won numerous competitions in Asia and Europe and performs as soloist worldwide. Musical Masterworks Artistic Director Edward Arron is known as one of the world’s finest cellists. He recently completed a 10-year residency as the artistic director of the critically acclaimed Metropolitan Museum Artists in Concert, a chamber music series created in 2003 to celebrate the 50th anniversary of the Metropolitan Museum of Art in New York. The program on March 14 and 15 will include three works for piano quartet including Schubert’s Adagio and Rondo Concertante, Saint Saens’ Piano Quartet in B-flat Major, and Dvorak’s Piano Quartet in E-flat Major. Audience members are invited to a post-concert discussion with the artists immediately following the Sunday afternoon concert. Tickets are $35 with $5 student tickets available at the door. For tickets and information, call 860-434-2252 or visit www.musicalmasterworks.org. The First Congregational Church is located at 2 Ferry Rd. in Old Lyme, CT 06371.